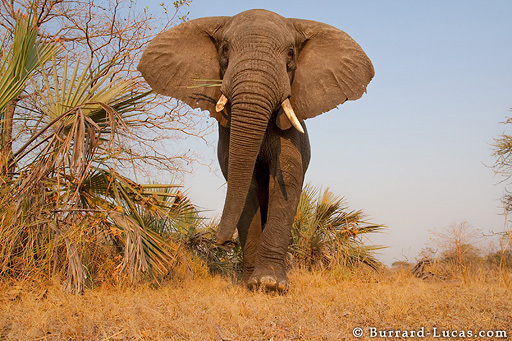 There are few living things on this planet that are as impressive as an African Bull Elephant. Weighing in at up to 9 tons, and measuring up to 14 feet at the shoulder, the elephant is the largest terrestrial animal in the world. In order to emphasise the elephant's bulk and power, we chose to use a low perspective with a wide-angle lens... and we got really close!